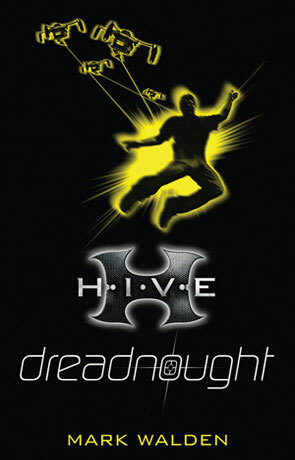 Dreadnought is the fourth Volume in the H.I.V.E (Higher Institute of Villainous Education) Young Adult series, written by Mark Walden. Hive is a school where villains rule, students are trained to be the best at the worst in the hope they will become the next great super-villian. One of the most powerful villains, a senior member of G.L.O.V.E (Global League Of Villainous Enterprises) has gone rogue and is now threatening a global Armageddon the likes of which has never been seen. Meanwhile the H.I.V.E students Otto, Wing and their friends are on the way to a Training exercise in the Arctic, however they soon find themselves embroiled in a bitter battle to survive. The H.I.V.E series of novels offer a great twist by featuring an evil organisation as it's central theme, even though some of the characters don't really seem very evil and they defeat a greater evil, making them kind of good. Dreadnought is a excellent addition to the H.I.V.E series with a very fast paced plot, Mark Walden manages to create an intelligent and witty novel that you just can't put down. Great characters (both good and Bad), good use of technology and an ending making you just wanting to pick up the next book in the series (there has to be a next one). Reccomended. Written on 2nd September 2009 by Ant.